Their hair and makeup exceed my average Sunday standards, but we have more in common than not. Every day we go out into the world striving to be Fierce and Fabulous for Jesus. In my denomination, that's not so surprising. Over half our seminarians are women. Over half the candidates in an average search are women, sometimes far more. Men still hold the advantage. Most multi-staff churches still want a man as the Senior Pastor, and his gender matters more than his years of experience, while a woman's years of experience or lack thereof seem to weigh more heavily. 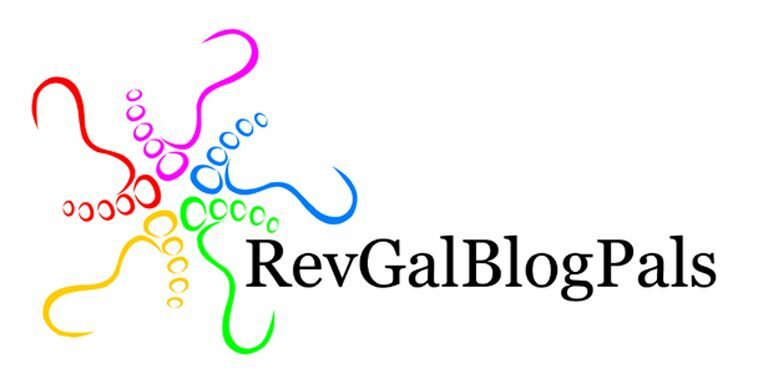 These RevGals on the cover of Gospel Today blaze trails in their traditions. And the reward for their effort? A chain of Southern Baptist bookstores decided to pull this issue from the shelves and hide it behind the counter. We don't want children to see it. We don't want suggestive images or words to be in the public eye, words or images suggesting that women have broken and will break the stained glass ceiling. Y'all probably know I supported Obama from early in the primary season. It disturbs me to hear that racism influences people's attitudes toward him, though it does not surprise me. I believe we would see the same sort of bias in its sexist incarnation if Senator Clinton were the nominee. How much longer, O Lord, how much longer? I want to see change, and we need a lot of it, in a lot of ways, at this moment in our country's history. We need a lot of it, in a lot of ways, at this moment in the life of our churches. It cannot come from the top down (she said, proving how very Congregational she is), it must come from within the hearts of the people. If I can be part of changing their hearts, if I can bump my head against the stained glass ceiling with other women and make it instead a great glass elevator for my daughter and other young women who may be called to ministry, I'll know I was fierce and fabulous for Jesus. I thought for a moment there, you were kidding. Hide this issue behind the counter? Seriously? It’s all about fear, isn’t it? Fear of change. Fear of confronting the status quo. Fear makes people cling to the past. Just as in this election. All we can do is pray. Pray for a bold leap of faith. I definitely think you’re Fierce and Fabulous! Have been worrying/praying about you and the hurricane headed your way. Batten down, and stay safe. so glad you dodged the bullet. Wish I wasn’t in the midwest or I would pop over for a slice of Grace Cake. Is the recipe on your blog somewhere? The world is getting crazy. I am a UCC’er also and do not understand the hesitancy to embrace women in the ministry. Why the big flap over “would you want Sarah Palin to be your minister” in TN. Also all the Southern Baptist churches endorsing a candidate from the pulpit today? I hope they investigate their tax exempt status just like ours for having a UCC’er (Barak Obama) speak at synod when he wasn’t running for office. Wow, this is wild that this is an issue yet. But, this is why I am a mainline Protestant (Episcopalian) rather than a Southern Baptist. I left that way as I thought it was weird that I could be an officer in the USAF but nothing of consequence in a church. It is strange to me that folks who have no qualms that their kids see a pediatrician who is a woman would cringe at a woman in the pulpit. And today, I voiced in a class at my new parish the reason I left my former parish (although it was not set up to be that). It was all about the ability to embrace change. If you can’t embrace change, you _will_ die. And my last parish could not. There you go. Mary, thanks for leaving a comment. I am fascinated to hear what happens about the pulpit endorsements. And Lauralew, that is totally bizarre, about the Air Force and pediatricians, too. Where I work we recently received a donation envelope with a note from a man (of course) that he would no longer be supporting us because the denomination was considering ordaining women as deacons. Not pastors but deacons. He had to go find an even more conservative denomination. Sad sad sad. 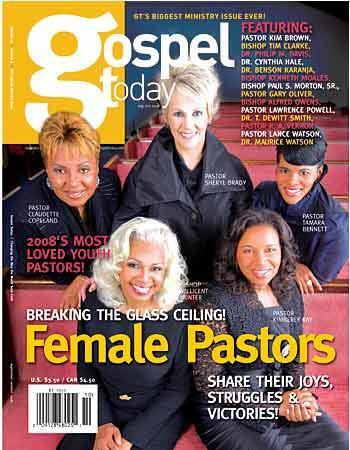 I suspect that the younger pastors with the more “hip” churches carefully obscure the fact that the denomination opposes women pastors. Once again I contemplate the irony of working where I do. Ooh, I’m so glad I ran away from the Southern Baptists years ago! The thought that someone would find it a good idea to hide that magazine issue makes me so mad! Grrrr. I’ve been wondering, is there a socialogical solution to the irrational reaction to women in the pulpit. Obviously the example of the life and ministry of Jesus isn’t working for some of these churches.